By Roland Sintos Coloma and Gordon Pon, Eds. This collection of essays is an integral part of American-modelled activism to establish a collective scholarly field for Asian Canadians beyond national boundaries. Such trials, as the editors argue, have already been initiated, for example, by the Asian Canadian Studies Network and the Researchers and Academics of Colour for Equity/Equality. Written by distinguished activist scholars, each article offers an innovative perspective, conceptualizing Asian-Canadian studies in transnational contexts of intersection, hybridity, and interaction. Two major points can be drawn out of this volume. First, it advocates strongly for the positive social impact of Asian Canadian Studies (ACS) to address neglected inequality based on racism in Canada, notwithstanding various barriers to the creation of such a field. Second, it challenges the notion that such a racially defined academic field is by nature essentialist and promotes a static framework. A closer look at this volume indicates that the contrary is the case, as each author pays attention to the dynamic nature of racial boundaries. 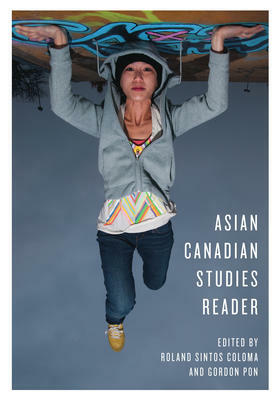 To achieve these goals the editors have organized the volume into six parts, each of which focus on various “encounters” that Asians have experienced in Canada. These themes serve their purposes very well, guiding readers to approach essays in relation to the common experience of the racialized group. The majority of the essays—except for a few which focus on case studies of Japanese, Chinese, Filipino, or Muslims—try to offer broader Asian narratives that emerged as a result of global forces such as modern colonialism, capitalism, Orientalism, and racism. Readers will learn that the “Asian” phenomenon emerged because of migration from Asia to North America and the subsequent processes that situated the newcomers in nation building projects or discourses. Implicitly, the volume reveals that the framework of the nation-state, which is always designed for an ideologically, racially, and economically dominant group, has its limits. Yet as the authors admit, this effort to launch ACS as a major academic field or political group in Canada has a long way to go. First, they face some contradictory issues: on the one hand, they are promoting transnational space for Asians beyond nation-states; while on the other hand, they are seeking to create racial boundaries and collective power to fully participate in and negotiate with the host nation-state. Second, historically, “Asians” have created racial hierarchies and Orientalism among themselves, which were well incorporated into their nationalism. In other words, colonialism and racism are not necessarily a White/Asian phenomenon. Third, given that much of the significant economic or employment inequality in recent years has resulted from elements other than race, such as limited language proficiency, the lack of network, and the lack of financial resources, “Asians” could represent more differences than similarities. Thus, linking the glass-ceiling issue with racism requires very complicated research. 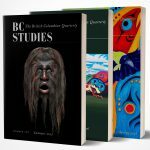 Having pointed out these challenges, this volume as a textbook makes an excellent contribution to ethnic studies in Canada, promoting debate among instructors and students, and encouraging them to think about how analytical categories should be set. ACS will not replace other analytical frameworks such as ethnicity, class, and gender, but it offers an excellent alternative for the conceptualization of inequality and racism. As the term Visible Minorities is increasingly becoming old-fashioned, a new way of approaching racialized minorities or marginalized groups is necessary. As this volume points out, traditional academic institutions, which are overwhelmingly dominated by mainstream scholars, often hinder active interactions that could lead to new ways of thinking. Roland Sintos Coloma and Gordon Pon, Eds.